Here is a rundown of the different deck stain types that exist. We encourage you to do your own research to determine which type of deck stain will work the best for your project. Water-based deck stains are environmentally friendly and abide by newer, stricter VOC regulations. They are easier to clean up. However, they tend to be a little more difficult to apply. The top water-based deck stains are Restore A Deck Stain and the Defy Extreme. Both offer superior penetration over other water-based stains. Deck Resurface coats work like thick paint. They can provide excellent UV protection and fill cracks if it actually works. If selecting a Deck Resurface Stain, keep in mind that most users have had a bad experience with products from Home Depot and Lowes. While the majority of comments and user experiences reported are negative, the Gulf Synthetics Deck Revive has been favorable. Solid Decking Stains (opaque) cover the wood grain completely, providing excellent UV protection. At the same time, they film on wood, do not penetrate well, and require sanding and scraping to remove. Semi-Solid Stains show a small amount of wood grain and provide very good UV protection. Oil-based semi-solid versions provide superior penetration. The best semi-solids stains are made by Armstrong Clark which is a deep penetrating oil-based stain. Clear Wood Deck Finishes do not change the appearance of your deck and are easy to apply. However, they gray and oxidize in months. These are great if you want to seal and protect the wood but want the wood to gray naturally. The Defy Extreme Clear and the TWP 1500 Series in Clear work well for this. Non-Drying Oil vs. Drying Oil-Based Stains: Drying oils are curing oils that seal the wood. Non-drying oils never dry and penetrate the surface of the wood to help condition the wood. We want to hear your input. What works for you? Do you have any deck stain news? Comment below. Faded stain on deck greyed wood never stained on rails. Switching to new stain and color. Believe the current is Olympic maximum semi trans oil. Previous is 4-5 years old and faded. I have a lot of galvanizedu wire and panels for railing and want to make sure the strippers or prep wont harm those materials. You will need to strip and brighten wood for the prep. It should not harm the wire. I have 1600 sq ft wrap around porch that is 15 years old. The wood spindles and rails don’t look like they have ever had anything on them. The wood floor seems to have a semi transparent stain (what’s left of it). I have cleaned it with a bleach and water combo. I was thinking of putting a semi solid stain on the floor. Can I use the same stain on the spindles and rails? HELP! I’m in way over my head. What do you recommend? All of the current stain will need to come off. Strip and brighten for prep. Use a semi-solid for all is good. Try Armstrong Clark in a semi-solid color. Is there a semi solid stain that is white? Not in AC. To get a solid stain in a white means you have to custom mix it and that will be an acrylic water-based stain. It will be prone to peeling. Would like to know your collective opinion of the Penofin products. Specifically the Ultra Premium (Redwood). I realize that you do NOT always “get what you pay for”, but I see that this particular product is $47 per gallon in my local hardware store. Thank you. Note: …my 6 questions on deck info posted a few days ago. Flood Pro Series Solid Stain. Hi, what are your thoughts on Cutek CD50 oil for a new mahogony deck? No opinion as we have never used it on hardwoods only regular softwoods like cedar and PTP. Mediocre results. Hello…we live on the (rain) coast in the Pacific Northwest. We will be staining a cedar fence with pressure treated 4 x 4 posts. When it comes to selecting a stain would you recommend using an oil based product over a water based one…or does it matter. Most informative web site ! Try TWP 100 Series or Restore A Deck Wood Stains. We purchased a poplar 10 ft table with benches that had been stained? after one year it was a mess, pretty much gone. the seller came back took the set and sanded and applied an oil base stain that look good most of the summer. now not so good – we want to stain it ourselves with the right product that will preserve the wood. help!! 1. A tint but still have the deck grain show through. The contractor who built our deck said SW has a product that is a stain and seal combo? However, when I look at their site I don’t see something like that. We want top notch protection with a hint of color. Is there a product that does both? How long does the product last before we re apply? We live in Florida so it’s humid and sunny. Any advice is appreciated. I need to purchase stain that’s solid and is long lasting for an outside deck. I’ve looked into Behr, Benjamin more’s ARBORCOAT, sherwin-williams, Cabot, TWP, Olympic, etc and I am confused! My deck is about 9 years old, I need to use Solid stain and we prepped it by fully sanding the entire deck to 60 Grid. It would be great to pick stain brand that is easy to get a sample of like Cabot at Lowes or Arborcoat at Benjamin More. I do care more about the long lasting one. If you want a solid color deck stain, use the Flood Pro Series. SOLID REDWOOD DECK 2 YEARS OLD. WE APPLIED CLEAR TRANSPARENT .IT WASHED OUT FAST . WE ARE LOOKING AT A SOLID .WHAT DO YOU THINK? We are not fans of solid stains as they can peel but if you want to use one, try the Flood Solid Stains. I have a redwood deck (20+) yeas old. In the past I have used Penofin to stain the deck and it is in excellent condition. The contractor I hired to power wash and stain the deck is suggesting a product called Ready Seal. Any significant difference between the two? RS is better than the Penofin but not as good as other brands. 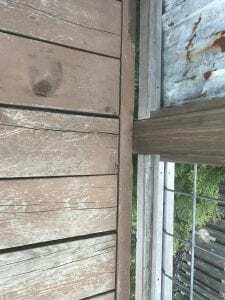 I have been stripping my deck that was stained by the previous owner. The stain is several years old but I do not have a definite age. The railings appear to have a solid stain on them as it has been difficult to remove. The decking has stripped and cleaned up nice. I have removed about 80% of the stain on the railings but have some stubborn areas and areas where the balusters are sandwiched between 1×2’s and I cannot get the stain out of these areas. I plan to use TWP oil based stain on the decking but don’t think I can use it on the rails since I cannot get all of the old stain off. 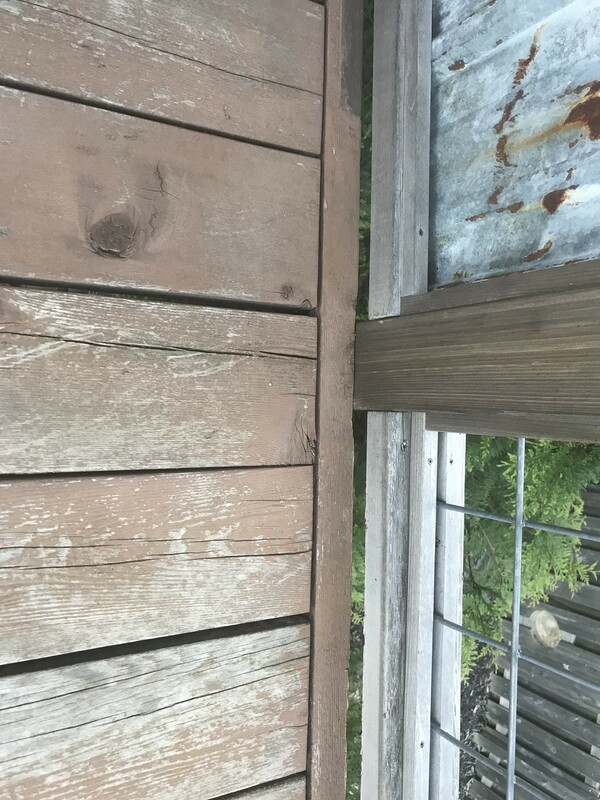 I assume I can use Flood Solid deck stain on the rails but am curious if I could use the Armstrong Clark semi solid over areas where I could not get all of the stain off. Appreciate any thoughts on how to best proceed. No, you cannot use the AC over the solid stain. Best to use another solid stain for the verticals and the TWP for the floors. On the site I’ve seen solid stain recommendations by Deck Stain Help for Flood. Is this the Flood Pro Series Flood 100% Acrylic Solid Color stain? I couldn’t find a review on the site for this product. Can you point me in the right direction? We’re about to buy a house in Florida in a yard that has a fair number of trees. Part of the existing fencing can remain, some needs replacing. I know both old and new will need cleaning and brightening (old hasn’t been stained before), but given it’s a fairly damp area, I don’t know if I could then use an oil based stain (my preference) or would be better off using a water based stain . If I could go with oil based, which is best as far as minimizing growth of mold? You can use either. If you use an oil-based stain, use the TWP 100 Series.